Happy weekend! I'm turning 24 in December and I have been thinking about moving out for a while now. I think it's about time I start living on my own and so, I have been scouting for a place. Hopefully, before the year ends, I can get settled in. One of the things I'm looking forward to doing is decorating my new living space. And it was just perfect timing that I stumbled upon Modani modern furniture. 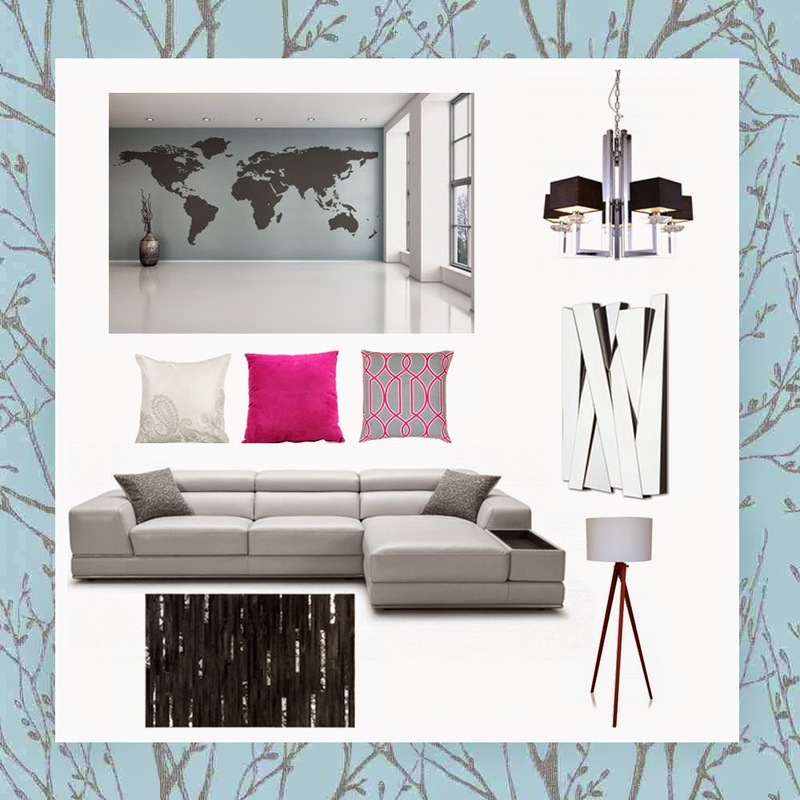 So, I put together a little mood board to inspire me with decorating my living room! :) Hopefully, this inspires you too. I used to picture a nearly all-white living space. But when I saw the Bergamo Grey sofa from Modani modern furniture, I felt like I wanted to design my mood board around it instead. I switched from all-white to grey with hints of white here-and-there instead because I felt it was more subtle and classy, which I think is where I am with my personal style right now. With a design flow like this, it will also be easy to switch things out depending on the season or my mood. I feel like it will make it easier as opposed to my initial vision of an all-white space; and, there's more depth to the whole look! Modani has various store locations across the US. You can check them out and take a virtual tour of their modern furniture stores! Find your style with Modani!